27 September / 27 September at 5 p.m., three new exhibitions will be opened in the Tartu Art House: Raivo Korstnik’s retrospective “In Retrospect: On the Streets of Tartu” in the large gallery, Piret Kullerkupp’s and Liis Ring’s joint exhibition “Line” in the small gallery and Anna Škodenko’s personal exhibition in the monumental gallery. The present overview is the sixth exhibition of Korstnik’s (1932–1992) oeuvre in the last two years and summarises all the previous ones. The selection covers the years from the end of the 1950s to the artists death in 1992 and many of the works are shown publicly for the first time. Besides the nautical themes and cityscapes in the so called “harsh style”, the main focus is on Korstnik’s surreal and even cubist works. The exhibition has been compiled by Maarja Korstnik and Meelis Tammemägi. 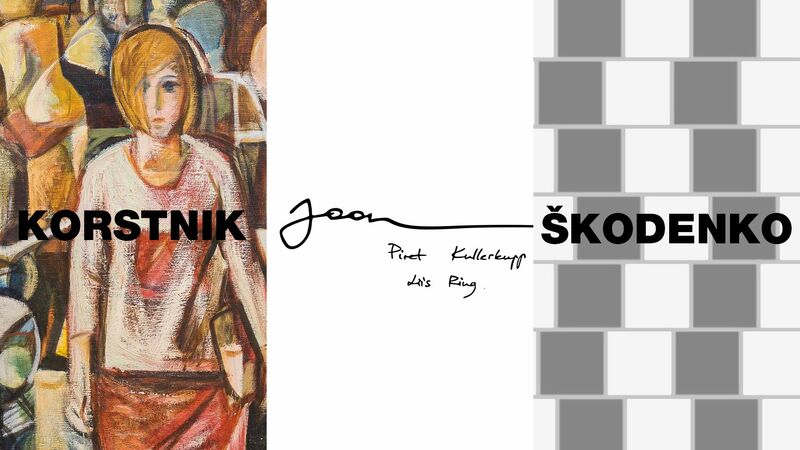 Škodenko’s exhibition doesn’t have a literal title and is denoted by the pattern called the café wall illusion. Her works are always conceptual but they are still rooted in an aesthetic experience. However, over the years she has continuously distanced herself from her original medium of painting. All the exhibitions will remain open until October 21.